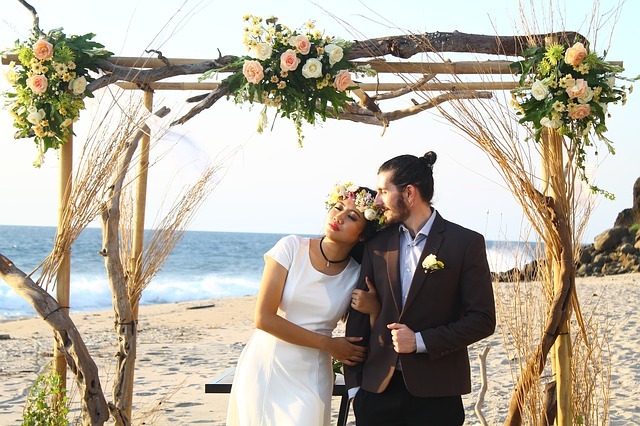 The main reason why Bali is such as popular wedding destination is because this little Indonesian island is as diverse as can be, creating the most amazing settings to say your vows and start the rest of your lives together. On top of that, Bali is super exotic, featuring magnificent beaches and landscapes while the mystical Hindu culture adds a touch of magic. Whether you want to get married on a white sandy beach, at the edge of a cliff or in the jungle beneath a cascading waterfall, in Bali it is possible! With the right wedding agency, you can design the wedding of your dreams, unlike any other in the whole wide world, super exotic, romantic and beautiful! Bali had got the most magnificent luxury villas with mind-blowing views of the mighty ocean, the deep dense jungle and holy volcanoes. The best thing about getting married in a villa, is that everything will be in one place; there is the ceremony, the wedding party and the honeymoon suite. The villa’s are stunning, the views are mind-blowing and the prices are surprisingly affordable compared to the western world. This is a classic choice for couples in love wanting to get married anywhere in the world. Bali has got a few gorgeous wedding chapels located on the beach and at the edge of ocean cliffs. The wedding chapels sure are romantic and beautiful for traditional weddings as we know it but in an utterly exotic place. Watch your step as you kiss the bride, standing at the edge of a high soaring cliff by the sea. The backdrop of a cliff wedding certainly is unique and dramatic. You will get the most beautiful wedding photos and an amazing once-in-a-lifetime experience! A beach wedding can not be missing from this list of most popular wedding spots. The sea breeze, the soft sand, the beautiful views and the sound of the waves. 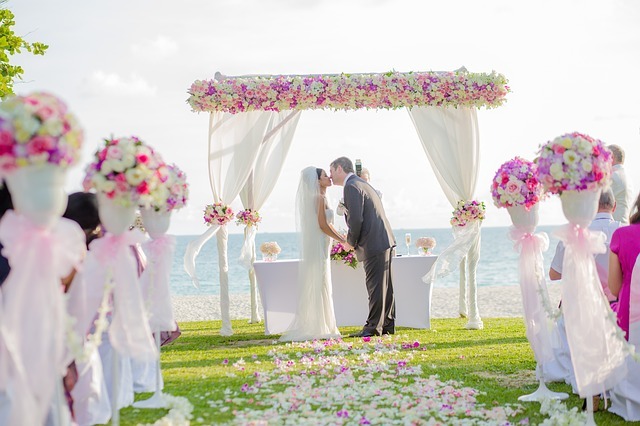 Beaches simply have got something super romantic about them, perfect for any kind of wedding! Getting married in the jungle is not something you hear about often. It certainly adds a notch of adventure to your wedding day. A wedding in the jungle will be an unforgettable experience, unlike anybody else’s wedding. 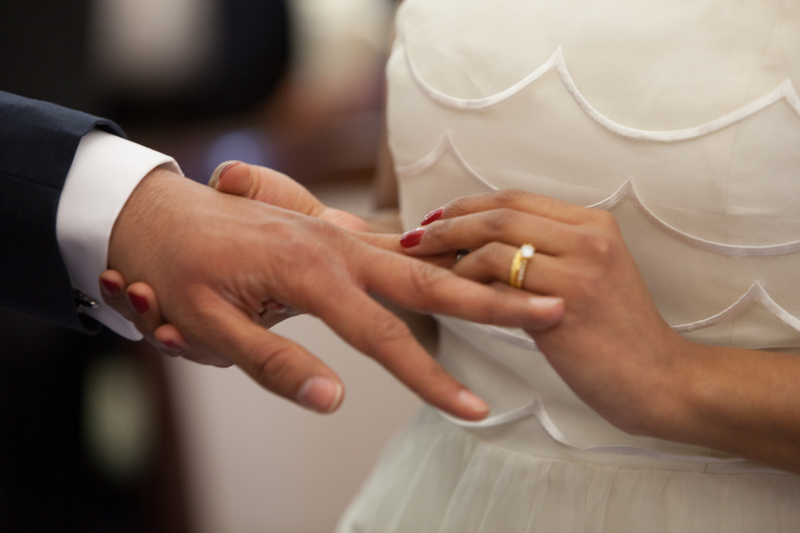 The above mentioned wedding packages already include all basics for an amazing weddings by The Seven Agency. Apart from the magnificent location, the packages include wedding altars and ceremony master, flower decorations, wedding cakes, stylists, photographers, music, personal butlers and makeup artists. Upgrades and changes are possible wherever needed or wanted and you can also come up with your own ideas, designing your own wedding in Bali from scratch. Let’s get you lovebirds married on world’s only Island of the Gods!